Trees, Youth, Our Future is a two-part series that tells the story of forest stewardship in Ontario and encourages the next generation of leaders to embrace it. Watch The Road to Sustainability. 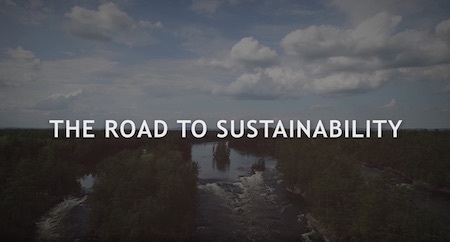 The first episode, “The Road to Sustainability,” explores the history of our relationship with the forests – from being home to Indigenous peoples to being an obstacle to settlement for Europeans. It looks at the evolution from exploitation to stewardship, culminating in Ontario becoming a leader in sustainable forest management. 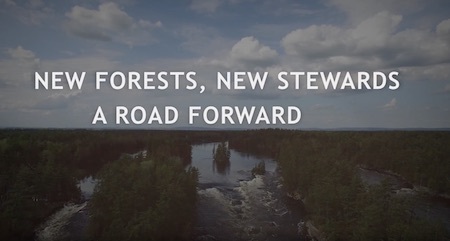 Watch New Forests, New Stewards, A Road Forward. The second episode, “New Forests, New Stewards, A Road Forward,” delves deeper into sustainable forest management on Crown and private lands and in urban forests, while highlighting challenges faced by Ontario’s forests and opportunities for youth to get involved. EOMF is the executive producer of the series, which was produced by Pinegrove Productions. It was funded largely through an ON150 grant with additional support from a dozen stakeholder partners. "You have done a great job in telling the story of Ontario’s forests over time and the importance of them to societies both local and at large in Ontario," adds Ken Armson, former Provincial Forester for Ontario. "I think that these videos gave me lots of information and were put together very well,” adds a 15-year-old male viewer. “I definitely have a better understanding about the forestry industry than I did before. All in all they were great videos that had my attention the entire time."